Mons Hadley is a massif in the northern portion of the Montes Apenninus, a range in the northern hemisphere of the Moon. It has a height of 4.6 km and a maximum diameter of 25 km at the base. To the southwest of this mountain is a valley that served as the landing site for the Apollo 15 expedition. 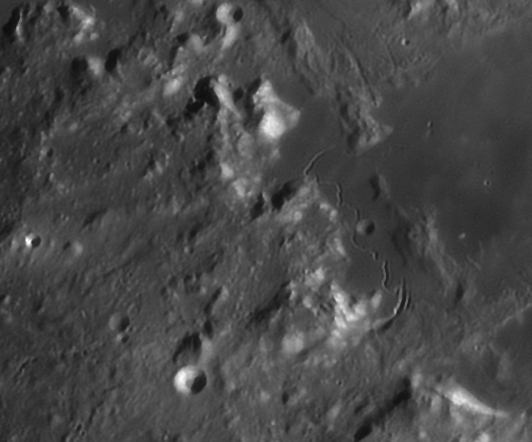 To the southwest of this same valley is the slightly smaller Mons Hadley Delta (δ) peak with a height of about 3.5 km. To the west of these peaks is the sinuous Rima Hadley rille.